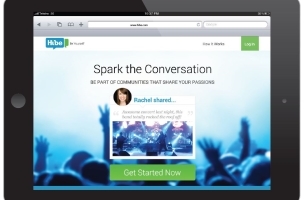 Micro-social-networking platform Hibe Tuesday announced the launch of its website and release of its Facebook application, which is aimed at allowing users to build micro social networks on top of existing platforms, such as Facebook, where they can discuss single topics of interest. 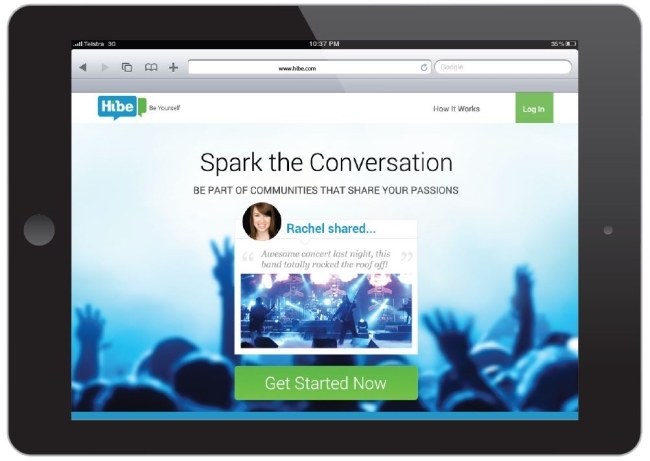 Hibe enables users to engage in relevant conversations via a safe, secure platform. Users must currently be Facebook users in order to launch micro-social networks on Hibe. Members can upload text, photos, and videos, as well as comment and share group experiences. Any Facebook user can start a micro-social-network about their favorite artists, celebrities, or sports teams, thereby creating one unique destination for the millions of other fans who follow such a Facebook page to meet, find inspiring people to follow, and learn from their experiences. Users can discover how others live their passion and build meaningful relationships among those like-minded people within and across social and Web platforms. Hibe is all about discovery and self-expression on your own terms Through Hibe, users can pursue interests, learn about others, create new discussions, and build a richer base of experiences. Hibe is a blank canvas to express your individuality. Readers: Will you try out Hibe?